Welcome to Bluffview of Camimo Real! Find homes for sale in Bluffview with the San Antonio Premier Group! Bluffview of Camino Real is located just off Bitters Rd and West Ave. Camino Real is composed of sevreral different neighborhoods that include Bluffview, Bluffview Estates, Bluffview Heights and the Woodlands of Camino Real. Homes in Bluffview were built in the 1970's-80's, and each is distinctly different from the next. Camino Real was named one of San Antonio's safest neighborhoods in 2010. Bluffview of Camino Real is part of San Antonio's North East Independent School District (NEISD) and is serviced by Eisenhower Middle School and Churchill High School. Bluffview is located only minutes away from the San Antonio International Airport, North Star Mall, and a quick commute to Downtown and several Air Force Bases. For more information about homes for sale in Bluffview or North Central San Antonio, contact the San Antonio Premier Group at 210-818-0669. 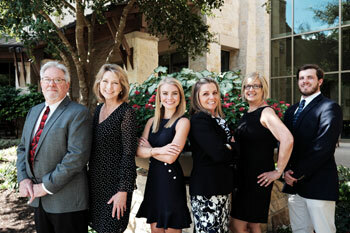 Chuck Nall of the Premier Group was the previous HOA President for the Woodlands of Camino Real and knows this area well. *Are you interested in selling your home in Bluffview of Camino Real? Click here to find the current value of your home.